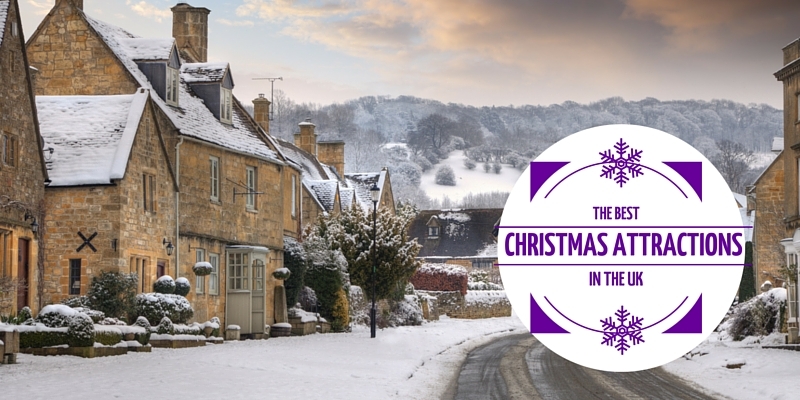 The festive season is well and truly upon us, so if you haven't planned your yuletide activities yet, take a look at our pick of the best Christmas attractions in the UK for 2014. Image by Chris March under Creative Commons license. You can ice skate at random venues all around the UK at Christmas time these days, but the Somerset House experience is the original and one of the best. This year, there's skating on the beautiful outdoor rink during the day with top DJs in residence after dark. The Skate School and Polar Cub Club ensure that everyone can get to grips with their blades, whatever their age. Settle down in Fortnum's Lodge in the Christmas Arcade for family-friendly refreshments in the day and more grown-up tipples at night. If you'd welcome some Christian spirit this Christmas, the Wintershall Nativity comes up trumps. With the first performance taking place at BBC Broadcasting House Piazza and All Souls Church in Langham Place, London and the remainder in Holly Barn on the Wintershall Estate near Guildford, it's the life-affirming nativity story told with 50 actors, a choir, musicians, and a collection of real sheep, donkeys and horses. Image by Robert Pittman under Creative Commons license. During the festive season, these innovative gardens get decidedly Christmassy. Not only can you visit the big man in red, you can also meet some of his reindeer, go ice skating, explore the magically decorated rainforest and enjoy lantern parades, craft workshops, Cornish choirs and live storytelling. Image by Lucy Djevdet under Creative Commons license. This little piece of the North Pole near Ascot serves up bucket loads of seasonal magic. After receiving a personal invitation from the man himself to visit his UK base, deep within the forest, your little ones will help the elves and Mother Christmas with their pre-Christmas jobs, go ice skating, make friends with the reindeers and huskies, and finally meet Father Christmas in his cosy wooden lodge. Image by Nicholas Schooley under Creative Commons license. Head out to deepest Kent for the much-anticipated Christmas event at Leeds Castle. This gorgeous and grand country house dating back to the 12th century goes all out with its festive theme every year, and for 2015 three-dimensional paper works of art will decorate the grounds. The theme runs throughout the estate's sumptuous decorations; and a Christmas carol theme makes the event extra festive. You'll also discover a Christmas market, real reindeer and a traditional horse carousel in the beautifully landscaped gardens and grounds. Father Christmas is in amongst it somewhere too. Image by Alex Pepperhill under Creative Commons license. This is full-on, in your face riotous festive family fun, all undercover and out of the north west's wintry weather. Manchester's Winter Wonderland is the largest indoor event of its kind in the country. Once inside Event City, next to the Trafford Centre in the centre of the city, every visitor will be able to watch the Sooty Show and a Christmas circus, meet Mr Claus himself and go wild on more than 30 full-size funfair rides. Image by deargdoom57 under Creative Commons license. Belfast's Christmas Market has been running for 10 years now and rivals the best continental events in atmosphere and authenticity. Set up around the magnificent City Hall and gardens in Donegal Square in the heart of the city, there's certainly a very European feel. You can pick up all kinds of festive treats including foodie specialities, drinks, handicrafts and decorations from around the world and take the little people to Santa's Grotto. Grown ups will also appreciate the traditional Irish bar and the Continental bar serving hot and spicy winter warmers. Make sure you check individual websites for full details of each attraction and book ahead if necessary! If you enjoyed this post like us on Facebook and follow us on Twitter or follow our YouTube Channel. Written by Maxine Clarke: a writer, mummy, missus and campervan-lover. Used to travel, now enjoys a good holiday! Follow her on Twitter.